Sydney Shop Girl: Weekend Plans. Budget Induced Austerity. Face Creams. Weekend Plans. Budget Induced Austerity. Face Creams. Will you get a load of this weather, Sydney? I honestly thought we'd already said goodbye to that perfect sky over the Iron Cove Bridge but perhaps not. The weekend is forecast to be minimums of awesome and maximums of even more awesome. The nights aren't going to be too chilly nor will there be any rain which is perfect because I'm planning on bussing it into the CBD for Vivid tomorrow night. 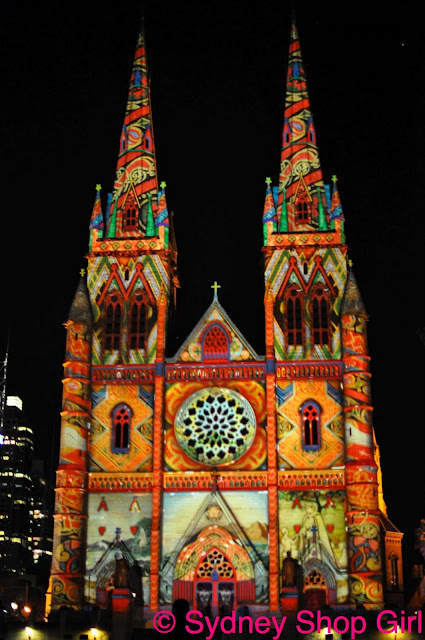 Vivid 2010 - St Mary's Cathedral going a little Camilla caftan via the more colourful of the Hermes scarf designs. It must be bad if even glorious weather and plans for the weekend can't take my mind off the Budget. Is it really 'narrow sectional interests' if everyone is complaining about the Budget? And wouldn't it be unAustralian to not have a whinge? The horrible thing is that the fall out from the proposed changes have Australians pitted against each other (cue The Daily Tele's typically intelligent and thought provoking cover comparing the number of people in New South Wales on a disability pension against the number of Australia's war wounded). It's getting really ugly. It's also looking like being very tough in the retail sector as financial analysts note that the forthcoming Budget has precipitated the sharpest drop in consumer confidence since ... like forever. I've been recycling and repurposing like a fiend this week and I'm sure it's the evil hand of the Budget on my shoulder that's made me do it. I dusted off this Missoni via Gilt kaftan to wear out to coffee yesterday. That Red Phoenix Emporium necklace cost practically nothing given the number of times I've worn it. Today's outfit featured two items given a new lease of life by my cobbler. My favourite Rockport wedges got resoled and a Witchery belt from the maternity months got a few extra holes punched into it. I whipped up a batch of muesli using bits and pieces from the pantry - so much tastier and fruitier than store bought. I'll be very disappointed if this week's austerity measures don't translate to a meaningful rise in my bank balance. If your personal budget's looking like being a little more relaxed than mine over the coming months, you may be interested to know that Chatswood Chase is getting all classy and Bondi Junctionish with the forthcoming opening of Williams Sonoma and West Elm. Brooks Brothers is already there as is a permanent Camilla Boutique. I got a bit of price shock looking at the prices of things in the shops this week. All the better for sticking to the practice of Budget Induced Austerity, I'm sure. Wooden hangers - box of 20, $14 and trouser hangers $3.59 a pair - both available at Coles. Not that I have an actual need to be window shopping. I barely have enough hangers to cope with my things from Orlando. But at least they're wooden and were cheapish. 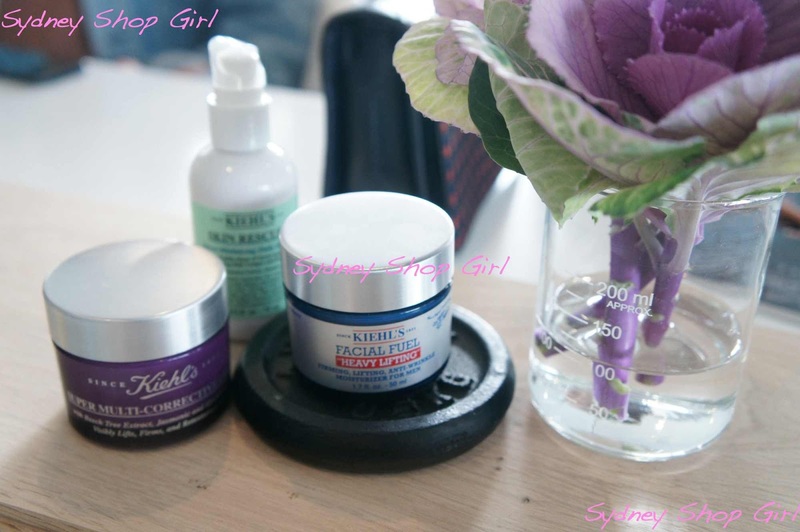 Remember my day trip to Bondi Icebergs last year for a Kiehl's product launch? Well, I've finally managed to do a long term trial of one of the featured products - Super Multi Corrective Cream ($80 for 50ml) and it's definitely worth stretching the budget for. I've been using it to replace the Acai moisturizer I was using which now appears to be discontinued in Australia. 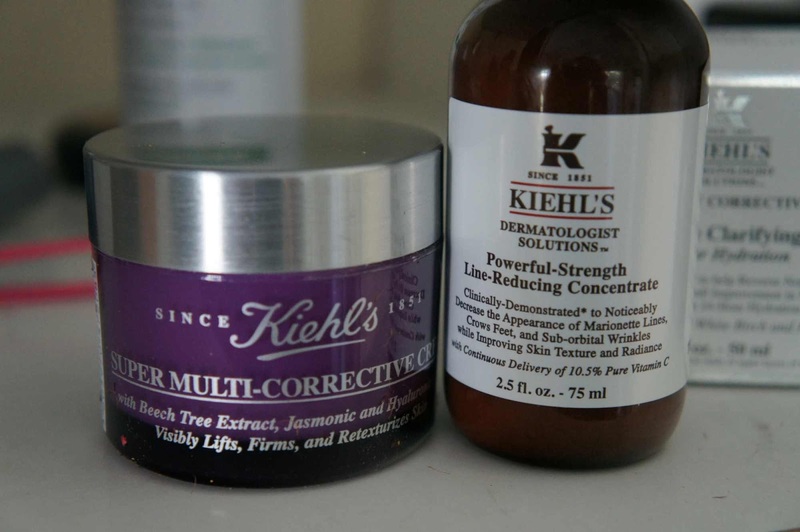 In my opinion, Super Multi-Corrective is worth every penny and is my favourite Kiehl's moisturizer. It's billed as a lifter, firmer and retexturizer of skin. I'm using it with Powerful-Strength Line-Reducing Concentrate which I got duty free at LAX. My skin looks and feels great with this duo and if it continues to do so after surviving the next few crazy weeks at work, then it definitely means that these two powerhouse products will have definitely lived up to their hype. Over to you. Are you in a bit of a Budget panic? Tried any new skin care recently? Bit of both? Oh gosh Williams Sonoma and West Elm at Chatty Chase??!?!?! Amazing! I'm dying to get to West Elm and Williams Sonoma..are prices comparable to the US sites? Budgets announcements are scary and now to save up for not just private high schools but uni for the littles!